It’s kind of strange the way inspiration works. 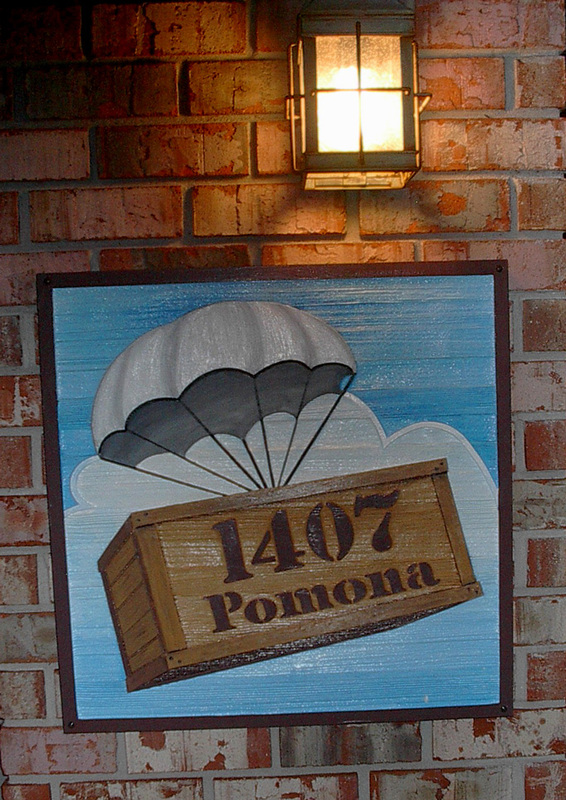 I was sitting at a bar that no longer exists in a hotel that no longer exists while dreaming of a business that didn’t yet exist … and it struck! 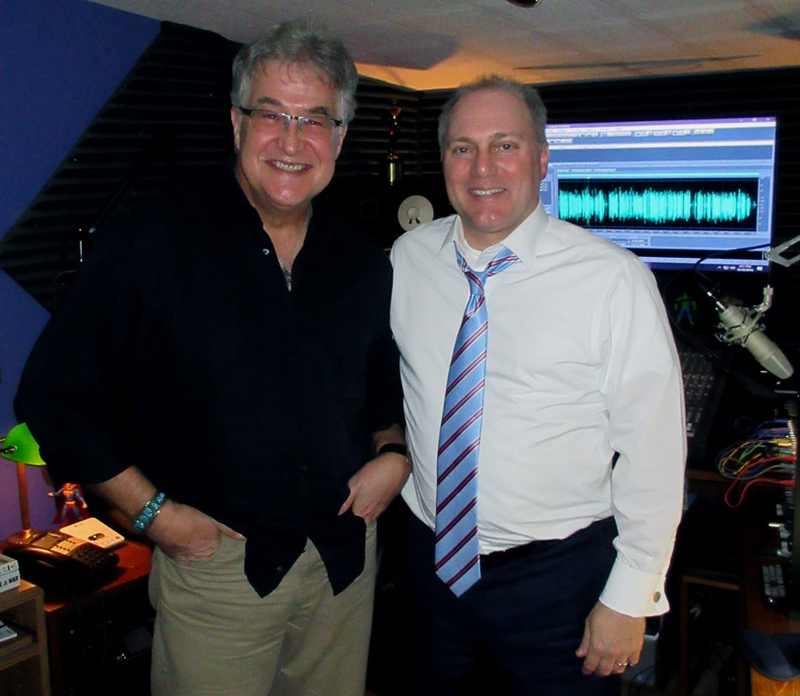 In my second year on Q-93 radio ( WQUE-FM, New Orleans ) as afternoon air personality Mike McCann, I was frustrated and, to be honest, somewhat frightened and more than a bit concerned. After all, I would not have been at Q-93 had a format change not led to my being fired from my on-air job in Philadelphia! And wouldn’t have been in Philly had they not let the entire air staff go in Nashville! A similar story led to my exit from St. Louis. Short story longer, I used to wake up in a cold sweat on the waterbed (hey, it was the 1980s) in the middle of the night wondering where I’d be when I reached age 40, to say nothing of 50 or 60 if I stayed on my current path. 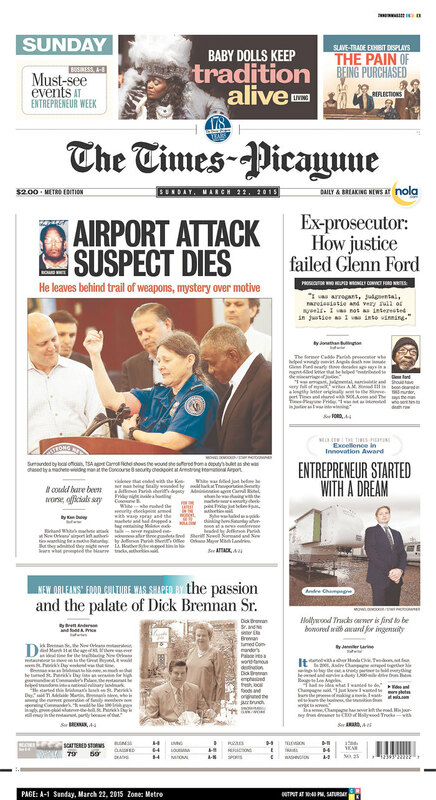 So, my Q-93 partner in crime Ron Chatman and I were sitting around the bar at Bert’s, a bar on the first floor of a now-imploded and long-gone hotel on Canal Street having a few, comparing battle scars and musing about our collective futures. I grabbed a bar napkin and started doodling, sketching, dreaming … and came up with the first crude version of the Airlift Productions logo. Airlift – as in ‘to the rescue’, with all it’s heroic connotations. If all radio & TV commercials are indeed sent over the air, “let me give your Air a Lift!” Alphabetical listings being what they are, I’d also be listed first in all the recording studio listings. Plus, I somehow knew all those years ago that the studio would be involved in projects bigger and loftier than just commercials, so it just had to be Airlift ‘Productions’. I knew that I was on to something. After hiring local artist Harrel Grey to fine-tune my crude bar napkin logo rendering, I trademarked it with Baton Rouge officials, got my first bonafide free-lance account with WGNO-TV/Tribune Broadcasting – and was off to the races. 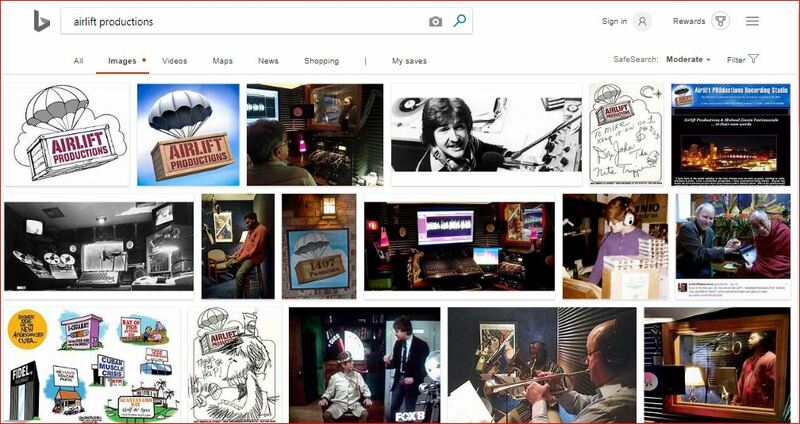 Today, in 2018, if one were to do an internet search with just those two words ‘airlift productions‘ in a search engine – with no qualifiers, no country or state, nothing else – out of over several million possibilities worldwide and worldwide-web-wise … there I am. Hard to believe that as I write these words it’s well over thirty years later, but that’s what the calendar tells me. Meanwhile, the technology, the recording gear & the delivery methods somehow grew into my dream & vision. And the jobs? Well, Airlift Productions has today recorded and delivered audio all around the world – literally! And while most my age have thrown in the towel, here in 2018, I find myself mapping-out my next 20 years in business. So, what’s in a logo? In a word – Everything! And I do mean every little … and BIG … thing. “Mike, I can’t thank you enough for the great job you did coaching me through the audio recording of my new book, ‘Back in the Game!’ Since this was the first book I’ve ever written (and recorded), it was all new territory for me. You made the entire process go very smoothly, and I am incredibly happy with the final product. 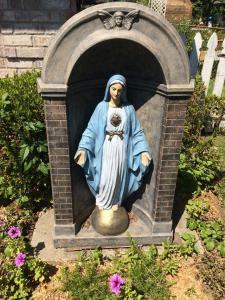 Well, it’s that time of year again, when a morning dog walk through the ‘hood yields visions of ghosts, witches & goblins, all sharing front yard space with – the blessed Virgin Mary! OK, possibly in other parts of America, but never more pronounced than here in a 300-year-old city predominately old Spanish, old French – and very Catholic. So, in the spirit of Halloween, yours truly decided this past week to do a little bit of audio trick or treating of my own. In an attempt to find some new folks to work with, some new “playmates in the sandbox”, the Shadeaux and I went to the internet, since no one really picks up a work phone anymore, and receptionists actually answering a phone is so last century. After doing a google search on the top advertising agencies in New Orleans, visiting each of their respective websites (amazingly, some had none), I wrote each one a rather succinct email, or simply filled-out their ‘contact page’ form. 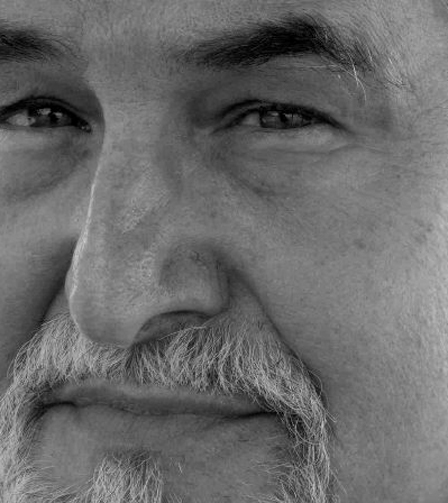 I merely told each agency that I had been a voice talent, writer, studio owner, and audio production dude here in NOLA for the past 30 years and wanted to connect with them to discuss possible future work together. These words were followed by an invitation for each of them to visit my website for corroborating material – audio, video, studio pics, and testimonials. In closing, I simply asked, “May we talk?” And closed with a signature, phone number, and the line “much respect”. 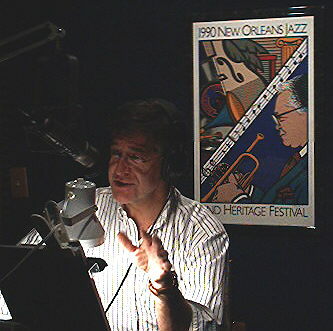 After a substantial, decades-long contribution to the media DNA of New Orleans – years of audio production and voice work, shouldering the outdoor campaigns of WGNO and WNOL, WDSU and WVUE all old-school (reel-to-reel tape dubs in cardboard boxes), 17 years with the Lamarque Motor Company, ten years pro bono with the United Way, twelve years producing all the radio campaigns for The Esplanade Mall …. Crickets…. Not a single reply. “Not a creature was stirring, not even a mouse” … er, ah, a millennial. Wait a tick, I’m in the wrong holiday! Either way, sorry, gang, but the way my mother raised me, I see this back-handed treatment as just downright rude. Whether I’m considered (along with my formidable studio) irrelevant, old-school & ‘dated’ – or a threat, in the business world, of which advertising agencies sure are a part, the courtesy of a reply is appropriate. How about one more thought. The prophet will always be without honor in his own land. Oh, and a Happy Halloween to you and yours. Everything changes. Count on it. 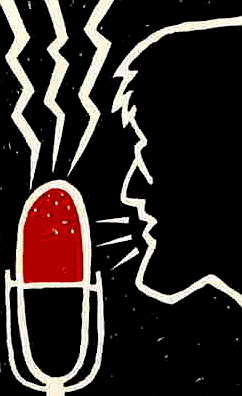 Even – and especially – in the world of VoiceOver. If you want to get addicted to anything – get addicted to change. 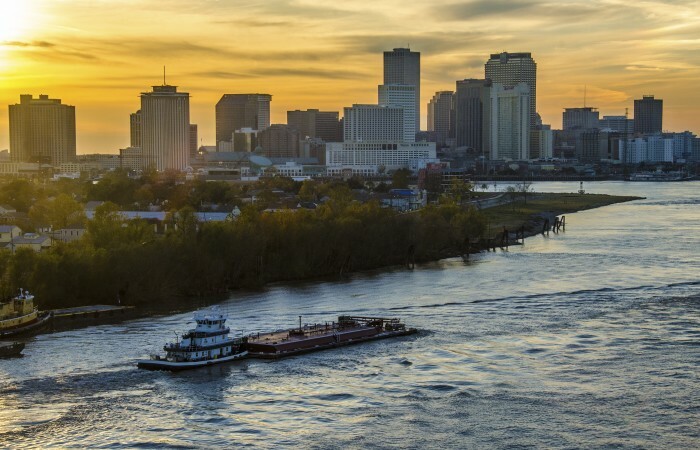 America’s most fascinating city – New Orleans – is only now beginning to return to ‘normal’ after the developments of the past weeks. Thrust begrudgingly into the spotlight of national and international news by (1) eccentric millionaire Texas fugitive Robert Durst – picked up downtown in our Marriott (packing a gun, mask, fake ID, and 5 ounces of pot, medicinal I’m sure) on the lam from the law… and HBO, and (2) this weekend’s machete-wielding miscreant (God rest his troubled soul) who decided Friday night to whup-up on some unsuspecting TSA agents out at Louis Armstrong … we’re only now beginning to catch our breath. But as I type these words, yet another parade, the annual Irish-Italian parade is marching one block from the Airlift Studios, tossing cabbages & other assorted goodies to the eager, jubilant crowds. Oh, and passing out a kiss or two. You see – everything changes. And the beat … goes on. When I began my radio and VoiceOver career, the voice artist (we used to just call them announcers) Demo was distributed via the archaic audio cassette and reel-to-reel recording tape. Then, in the early 80s, it evolved to compact disc. Today it just has to be available via a digital file, wave or mp3, and easily downloadable to someone’s phone, tablet, computer, or digital device. Only problem is, from what I can gather surfing the web and various voice artist sites, many Voice dudes and dudesses are still employing Flash files on their sites to play their voice demos. Not good. The Flash format is simply ignored by many devices, including many iOS Apple devices, like the ever-present iPad! So the quest began for a more cross-platform compatible approach that would make the voice demo playable most anywhere and on most anything in 2015. Ah-hah! Necessity being the mother of invention, the solution seems to be – to make Videos out of our audio. The VoiceOver audition demo, sampled, stored and uploaded as a video plays on the iPad, a Mac computer, Android phone & tablet, and, of course, on all Windows PCs. True cross-platform compatibility! For now. Case in point, I spent the better part of yesterday in the Airlift Studios toying around with Window’s ‘Movie Maker’, available free on most all PCs or as a free download. Watch – as well as Listen – to my new Commercials Voice Demo on the Airlift Productions Website Welcome Page by clicking here. OK, so maybe I got a little carried away, a little too artsy-fartsy with it, as I took jpegs from the studio, art work, even a shot from the banks of the MS River, to punch-up every read. As I alternated from serious to light, dramatic to frivolous. This same video-from-audio approach can also be as simple as displaying a gif image (bouncing analog or digital vu meters, for example) as ‘eye-candy’ while your demo rolls before their ears. In any event, you’ve got to love the ‘StarWars-ish’ scroll at the top as an attention-grabber, plus the ‘credits’ at the tail, which gives the listener/viewer the opportunity – the Call-to-Action – to get you by phone right then should they choose. Try doing that with an audio-only file. This approach also gives the VoiceOver talent an opportunity to ‘display the goods’ via YouTube, Vimeo, or a Facebook page near you. Not bad, huh? Yeah, we used to snail mail our cassettes, reel-to-reel tapes, digital tapes & CDs to chase voice work with UPS & Fed Ex as the middlemen. In 2015, not so much. Like I said, everything changes. Even the nature of change. Best of Luck from NOLA as you chase that VO dream. Airlift Mike Tosses An Audio Potpourri! 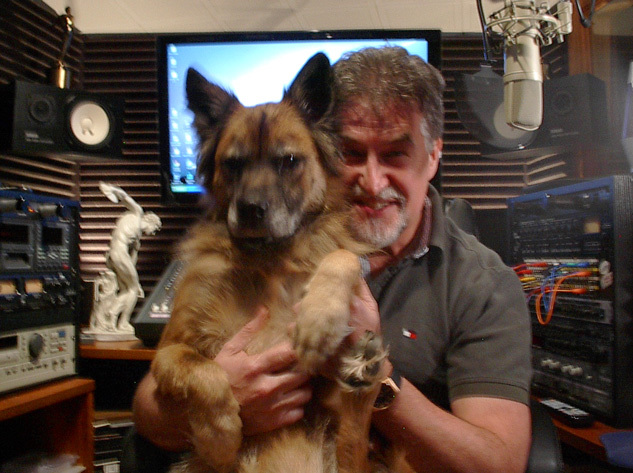 The life of a VoiceOver Recording Artist in 2015 is never boring. I mean, no sooner do you think you have all the answers, than they change all the questions! In the early days of the craft we were all called ‘Announcers’, as we all tended to speak rather loudly, with perfectly pear-shaped, authoritative tones… think preachers, teachers, parents, carnival barkers and military sergeants. In 2015 not so much. Consumers today worldwide are more savvy. And the delivery method has become more personal. The big box styled TV set of the 1950s has given way to personal, pocket-sized screens … and the tinny, brittle speakers have given way to earbuds and headphones. All that being said, today’s blog is all about mixing it up – as Airlift Productions and I toss an audio potpourri that helps to capture the changes, and runs the gamut from newly-produced radio ads and audio books … to a soliloquy! Like I said, never boring. Back to the 1950s for a second. Not only were all TV sets huge pieces of furniture dominating your living room, all books were found doing a Dewey Decimal System search in a library, trees had to die to produce them, and they were read – page by flipped page. In 2015, we google search and download to our personal digital device (mp3 player, I-Pod, I-Pad or phone) and LISTEN to the printed word – again read and cooed into our ears by a sympathetic, compassionate, yet dramatic voice. My very first fully-Airlift-produced, narrated and read-by-yours-truly Audio Book is now on the market, and available for download on a digital device near you. But, fair warning, it is not for the faint of heart. 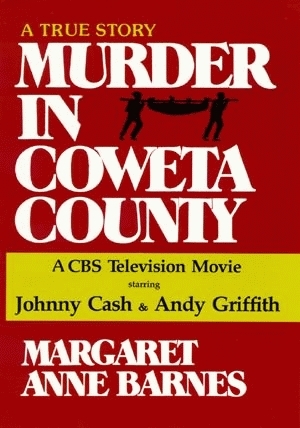 Murder in Coweta County, a true crime drama set in 1948 Georgia, well before Dr. King, Selma and the Civil Rights movement is indeed a shocker. It tackles racial prejudice, arrogant power and southern justice head-on. Give a listen to just a bit of Chapter 7 through the Airlift Productions microphones here …. Download the entire “Murder in Coweta County” Audio Book from the krewe at Pelican Publishing across the Mississippi River in Gretna by clicking either of these links. On sale for a mere $17.60, about the price of a good pizza. And this story will stay with you a lot longer. Truly. But better strap yourself in for the ride first. And keep your hands and feet inside the car… and your 21st century sensitivities intact. To wrap-up the Audio Potpourri, the VoiceOver Recording Artist of today is always sowing seeds for future work. We create demos to showcase our reach and talents wherein we cast ourselves in arenas within which we’d like to work. Well, my favorite Rom-Com ever (and I’ve viewed many with the ladies through the years) would have to be ‘Love Actually’. In the opening sequence, Hugh Grant does this reflective monologue VoiceOver shortly after the events of 9-11, while we watch loved ones embracing at the airport. Poetic license affords a name change from Heathrow to Louis Armstrong, and for demo purposes, re-casts the V-O with none other than yours truly, and it sounds like this …. 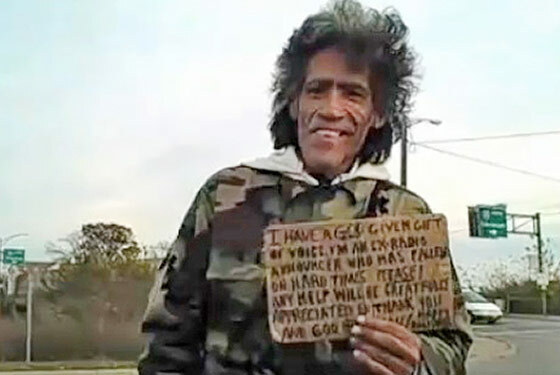 Airlift Productions & Airlift Mike ~ treating cold, metal microphones like warm human ears … from New Orleans … since 1984.